First announced at the Las Vegas Annual Evolution (EVO) fighting game tournament, the character of “Negan” (voiced by Jeffrey Dean Morgan) and his bat “Lucille” will be appearing in season two of Tekken 7 DLC, along with several returning characters. 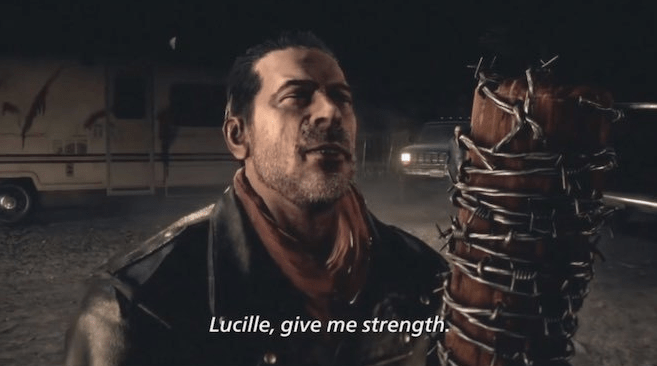 In the gameplay that is based around The Walking Dead television series, we see Negan threateningly taunt the other characters, like he did on the show’s seventh season premiere. There is no set release date for Negan. So, there is a chance we will see more of him at the next EVO which is early in 2019. Tekken 7 can be played on Xbox One, PlayStation 4 and PC. The new season pass is available now. Watch the new Negan gameplay trailer below!